The best way to savour the ocean is to be surrounded by it. Most Atlantic Canadians have some relationship to the sea-but it's the island dwellers, in particular, who know it intimately. Tides and currents, shores and storms shape the lives of those for whom the sea is as much a highway as it is a buffer from the rest of the world. Starting at the Canada-US border, here's a quick guide to 10 of the best small islands in the Atlantic Provinces. 1. Deer Island. For more than 15 summers, Bruce Smith has operated Seascape Kayak Tours from Deer Island just south of St. Andrews, NB. It's an idyllic location: last summer, a family from New York paddled with Bruce into the middle of a whale feeding-frenzy in the Bay of Fundy. For two hours, minkes, humpbacks, fin and right whales fed and breached around them. "It's a unique marine ecosystem, just as diverse as the rainforest," says Bruce, of the waters off Deer Island. He should know: the other half of the year he takes his award-winning business to Costa Rica. 2. Campobello Island. Across a bridge on the easternmost tip of the continental US, or a short ferry ride from Deer Island on the Canadian side (past a natural whirlpool locals call "The Old Sow"), is Campobello Island. Herring Cove Provincial Park and the adjoining Roosevelt Campobello International Park take up almost half of this 16-kilometre-long island where former American President Franklin D. Roosevelt retreated for the summer. Today, a large welcome centre greets the park's 150,000 annual visitors. 3. Grand Manan Island. About 10 kilometres into the Bay of Fundy lies Grand Manan. A 90-minute ferry ride from Blacks Harbour, this New Brunswick island is home to 2,500 people, cliffs full of birds (including puffins and bald eagles), a bay full of whales and a fleet of fishing boats. Winslow Homer painted the dramatic landscape, James Audubon sketched many of the more than 360 species of birds that have been identified there, and Captain Kidd is said to have buried treasure in a place still called Money Cove. 4. Lamèque/Miscou. For years, Tourism New Brunswick has enticed visitors to the province with a scenic photo of the 1856 Miscou Island lighthouse. This mostly Acadian island, and its larger neighbour, Lamèque Island, jut into Chaleur Bay off New Brunswick's northeastern tip. Opportunities for eco-activities like birding, hiking the boardwalks and beachcombing abound. The area's Sainte-Cécile Church appears unremarkable from the outside, but inside, the turquoise, green, yellow and orange ceiling and walls dazzle. 5. Lennox Island. Tucked behind a barrier sandbar in Malpeque Bay off Prince Edward Island's north shore is the proud Mi'kmaq nation of Lennox Island. The 400 residents welcome visitors arriving by Highway 163 (dubbed the Sweetgrass Trail). There's historical information and arts and crafts at the interpretive centre, and nearby walking trails equipped with signs that interpret 10,000 years of Mi'kmaq history. 6. Isle Madame. After the fall of Louisbourg in 1758, 10 French-speaking Acadian families fled to Isle Madame, a 35-square-kilometre island off Cape Breton's southeast coast. Today, 3,400 people call it home. Traditional Acadian culture thrives at festivals and events and at the Acadian Centre LaPicasse. The LeNoir Forge Museum on the Arichat waterfront tells the story of how the forge once outfitted tall ships with chains and anchors. 7. Big and Little Tancook Islands. Settled in part by German colonists, the Tancooks were once famous for sauerkraut, and for the Tancook schooners that shipped it in barrels to markets far and wide. Today, 150 permanent residents and as many summer residents live on the two Nova Scotia islands. Five bucks gets a visitor and his or her bicycle (by far the best way to explore the islands' dirt roads) a pleasant ferry ride from Chester across Mahone Bay. 8. Brier Island. Childhood home to Joshua Slocum, the first person to sail solo around the world, Brier Island, NS, is still known for its links to the sea and for its world-class wildlife watching-whales on the Bay of Fundy and birds from shore. Flocks of hawks and other usually-solitary birds wheel overhead in preparation for fall migration, attracting bird watchers from far and wide. Three lighthouses steer ships clear of the fog-shrouded shores of squared basalt rock. 9. Fogo Island. It's not just the colourful names of villages-Seldom-Come-By, Joe Batt's Arm and Eastern Tickle-that placed Fogo Island, NL, on the New York Times' list of 41 must-visit destinations for 2011. Amidst the saltbox houses, a series of ultra-modern artists' studios, built by a charitable foundation, line the rugged shores; people travel from far and wide to attend an annual Folk Festival held there in August. 10. New World Island and the Twillingates. Of the many islands off Newfoundland and Labrador, it's difficult to name just a couple that stand out. Ramea, off the south coast, and Bell Island, near St. John's, come highly recommended, but the archipelago off the north coast near Fogo-the New World Island and the Twillingates-offer so much to explore, they can't be left out. The islands are linked by a series of causeways, and drivers can feel, at times, as if they are driving out to sea. 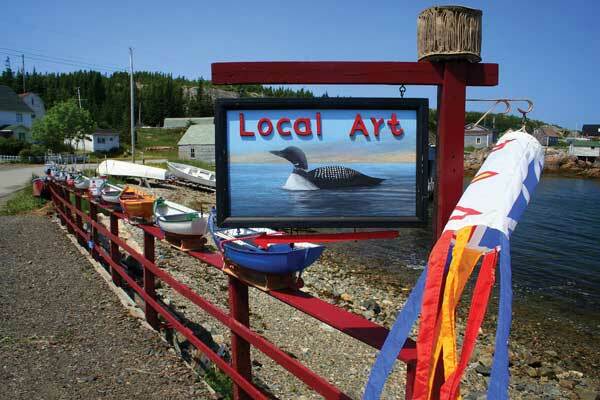 Hike the "Top of Twillingate" walking trail for a view of Iceberg Alley, and watch for the famous Fish, Fun and Folk Festival in July.